Early spring Walleye fishing on the Mississippi River is dependent upon the spawn. Nevertheless, when it is on, it is really on! The action of the March Madness Basketball pales by comparison. Walleye are lean and mean in body style. Their lean shape makes them better able to handle current. Because of it, they often stay close to dams in the fast current and for a mile or two downstream. Prime areas are around the current breaks. River Walleye are a fish of highly oxygenated water. The key to finding them is current. Retaining walls and rock shoreline as well as rock points sticking out into the current are good locations. Even those submerged rock piles that appear only as a boil on the surface often contain fish waiting and resting out of the current flow. These fish will take a variety of rigs. Perhaps the most popular rig is a three-way swivel tied to monofilament line of 8 to 12 pound test. On the second eye of the three-way swivel is tied about one foot of 6-pound line with a heavy bell sinker on the other end. In faster more current, heavier sinkers are best. Most anglers maintain that it is important to fish vertically regardless of the current. The fish move up out of holes in the bottom to grab the bait and back down again. The line from the remaining eye will require about two foot of 6 to 8 pound line. At the end of that piece is the terminal bait. A crappie minnow or flathead minnow make good bait. The minnows give off distress signals with their vibrations. Stinger hooks attached to the bait will improve success for short striking fish. Cast the rig just above the location in which you suspect the fish might be waiting out of the current. They idle in these areas awaiting a hapless minnow drifting past. By being out of the current, they use less energy burning up fewer calories. The rocks also conceal them from the prey that might pass this way. By maintaining a tight line, the angler can control the drift of the rig into the waters where the fish await. It is important to keep the bait just off the bottom and bounce the sinker. Minnows rigged on a slip bobber also produce fish. The key here is the size of the minnow. The fish are particular and seek out a specific size. They seem to prefer longer and thinner baitfish. The angler should have a variety of sizes in his minnow bucket. Try each until you find the one preferred on a particular day. Make notes as to fishing conditions and what works for future reference. Artificial baits with a lot of noise and color of shad as well as baits with crazy colors, polka dots and pinks, work well. Walleye like bright colors and take blade baits because of the noise. It is a good idea to keep only the smaller male fish as the females lay the eggs for the next generation. It is probably a good idea to keep those fish you plan to eat soon. This helps the resource and provides better angling opportunities next year and beyond. As mentioned earlier, current is important to locating the staging fish. The current can be in a variety of locations. The fish may be staging near shoreline structure or they may be out in the river off humps awaiting food washing past. A rock bar or eddy may be the attraction. The fish like to find locations just out of the current, down stream from the structure, where they have to exert less effort to remain in position to gobble up some hapless baitfish as it washes past. One can cast lure or minnow through rock-strewn areas to pick up fish. The Walleye is not an aggressive fish. 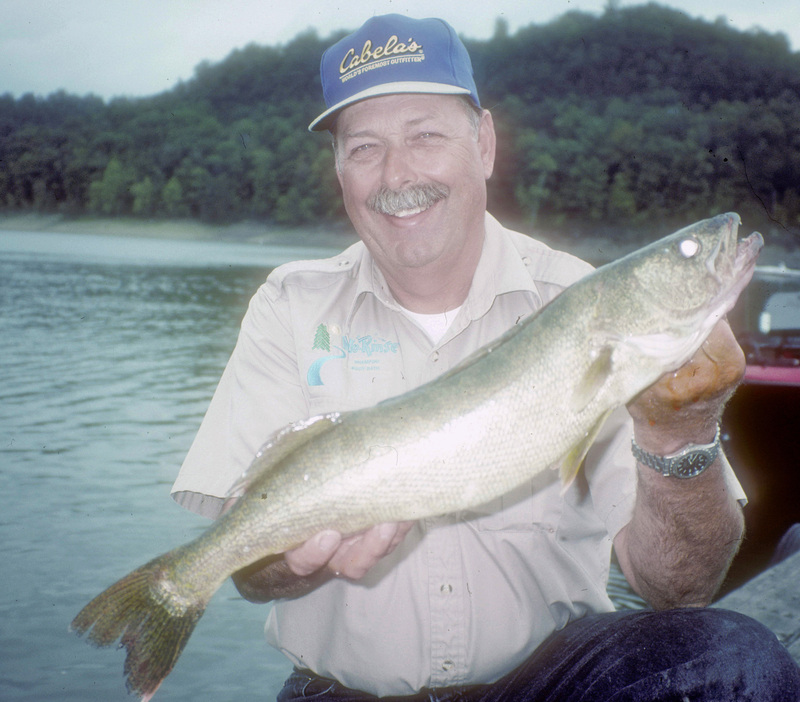 Where the bite of a sauger is a whump, the bite of a walleye is a tick! Once you catch one fish, chances are good that there are others in the same location. One must expect to lose tackle. River fishing is always a tackle busting situation. Late winter is a good time to prepare for spring turkey hunting. Doing some homework greatly increases a chance at a big ole Tom. You do some of the preparation at home in bad weather. Other things need doing outdoors on the nice days. Indoors in late winter, one can brush up on calling skills and experiment with new calls. It is a time to tune them. All calls need to be in good operating condition. Check mouth calls to make sure diaphragms have not deteriorated. Friction calls need chalking. It is a chance to perfect the tone, cadence and intricacies of each call. By studying videos or audio tapes and trying to imitate them, one learns from some of the best turkey experts in the country. Watch their techniques and learn to match them. As one studies the calling of experts and attempts to imitate them, learn the how, when, where and why of attracting turkeys. An example might be that loud yelping is sometimes better for young gobblers in early season. At certain times, such as daybreak or late in the season, the more wary gobbler might be frightened away. These skills hunters learn in a few hours of watching video or listening to audio tapes. To learn this on your own, it might take many seasons. More indoor activity might include making sure that accessories are in order. Such items as clothing, head nets, hats, and gloves must be located. They can get lost from one season to another or need replacing. As the weather improves, move outdoors. Take the time to pattern a shotgun and determine its effective range. This is especially true if one has purchased a new gun or has had difficulty with an old one. Next, scout out some perspective hunting areas. Begin with friends, acquaintances and natural resources personnel. Call them and ask about probable areas to check. Begin early as many other people are doing the same thing. As the opening day of hunting season approaches, breeding season for the turkeys also begins in earnest. Tom turkeys begin to gobble. Hunters should spend more time in the woods at dawn and dusk when turkeys are most active. The more gobbling, the better you will be able to pattern their activity. If they do not gobble on their own, try to annoy them with an owl or crow call. If you are able to locate a gobbler with the owl or crow call in the evening prior to a hunt, it is possible to locate where he will most probably be in the morning. Sneak as close as possible to the location before first light the following morning. When legal shooting hours arrive, make three or four soft yelps. This is probably your best opportunity to take a tom. 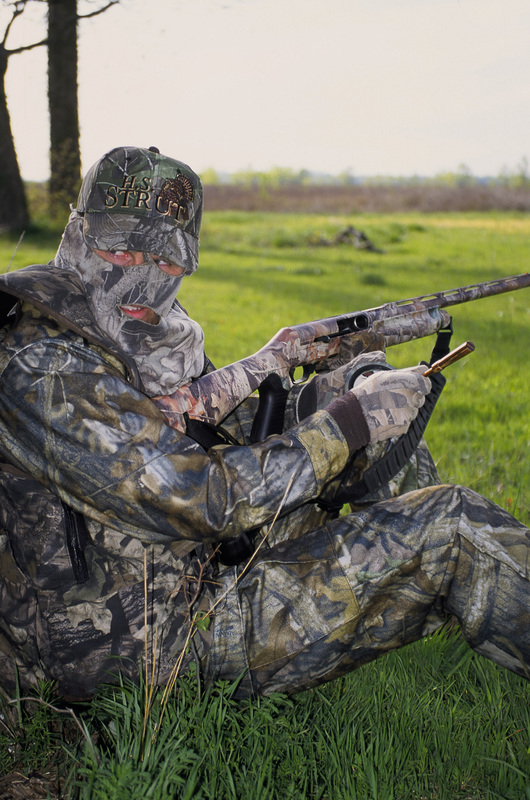 Turkey hunting is one of the fastest growing outdoor sports. Whether or not one is successful depends upon preseason practice and preparation. It is worth it. Recently while walking around in the Nashville, TN Bass Pro Shop it occurred to me that there are a lot of questions behind those huge fish tanks found in all the stores. A week later I sat down to learn about the program with Larry Whiteley from the company. Every day hundreds of people walk through Bass Pro Shops stores throughout the United States and Canada. Besides shopping they enjoy the fish and wildlife exhibits that are a vital part of the store. Most do not give a thought to what it takes to present these exhibits. Larry explained that they have a division within the company called the Live Exhibits Team that cares for the animals. 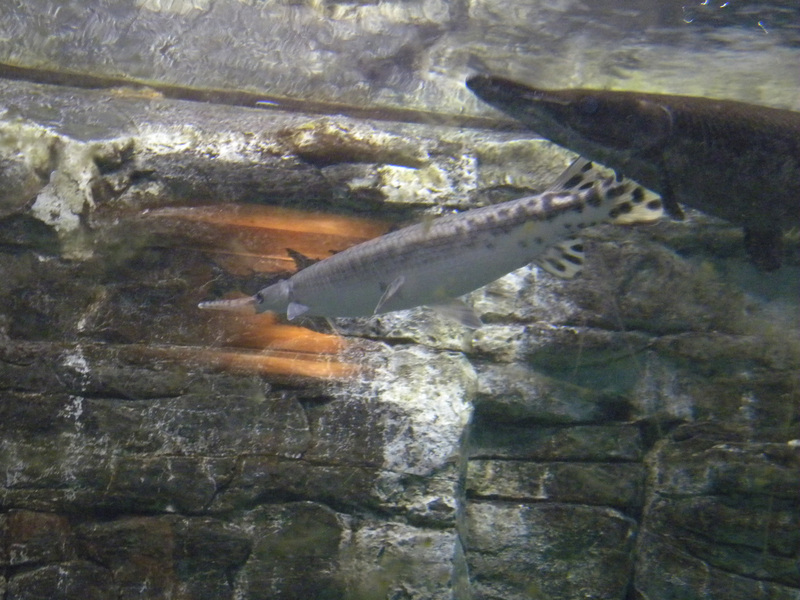 The idea of having native fish on display began with the first store in Springfield, MO. It was actually a mail order outlet and a location where people came to pick up their Tracker boat from the factory. There was an aquarium inside the door and people would stop and look at all the local species such as bass, crappie, bluegill, etc. As the company expanded into retail stores at that location and across the country the fish and wildlife exhibits did too. Every store plan contains the idea of having a wildlife exhibit. Johnny Morris, owner of Bass Pro Shops, probably did not really realize just how popular they would become in the future. Larry explains, “Currently there are over 10,000 animals on exhibit in the retail stores.” Fifty-eight stores have tanks. Most of the fish are quality (big) fish. The collections include the largest number of double digit bass in captivity. They also have alligator gar, the largest of which is over 180-pounds. The staff trains these and the larger blue catfish to target feed so that they will not eat their tank mates. They sometimes still eat between meals. The size of exhibits varies from 600 gallons up to the 50,000 gallon waterfall exhibit at the anchor store in Springfield, MO. All together, the company maintains some 1,820,209 gallons of fresh and saltwater exhibits. Exhibits include a wide variety of fish and wildlife that is indigenous to the location of the store. For example, stores in salt-water areas include saltwater aquariums. They tailor the displays of fish and animal life to the specific geographic area of the store. The Live Exhibits Team caring for the inhabitants of these exhibits consists of 75 aquarists and 5 veterinarians on retainer. They transport fish across the country in a merchandise truck without the advantage of monitoring the animals in transit. The trips can take up to 4 days. They experience very little mortality with this system. Incoming fish go into quarantine for 30 days to prevent the spread of any health problems. Some remain in quarantine for up to 6 months to heal problems in an effort to show quality in the exhibits. Some of the procedures required to keep the animals in good health include such things as surgery to remove tumors, egg sacks, and even repair broken jaws. They also are involved with laparoscopic exploratory procedures, antibiotic shots to fish and other animals and even the removal of hooks from a gar’s stomach while it was under anesthesia. At first glance the establishment and maintenance of these exhibits appears much less sophisticated. It is surprising the lengths Bass Pro Shops goes to in providing these educational exhibits so customers can relax and enjoy them while shopping. We all have those days when nothing seems to be going right. The fish do not bite, the wind keeps blowing us off our spot, and we lose concentration for what we should be doing. It is hard to maintain a good mental attitude under such conditions. 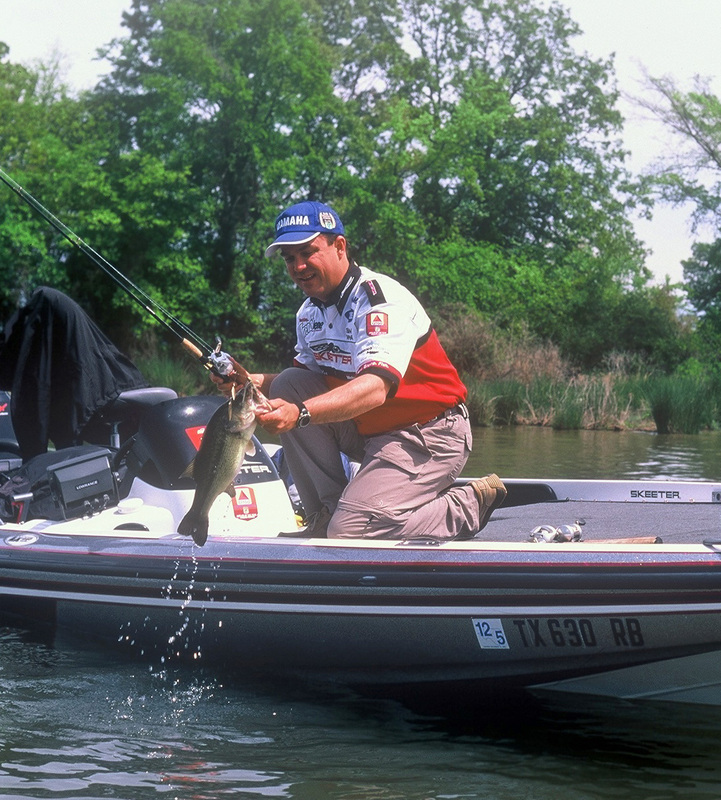 Attitude is important in fishing according to tournament pro Jay Yelas. Yelas has won numerous tournaments on the B.A.S.S. and FLW tournament trails. “I don’t know if there is anything more important than attitude,” exclaims Yelas. He believes that having a positive attitude and a bright outlook is so important because there are so many days when thing just do not go your way. By way of explanation, Yelas says “It seems like your just fighting the weather and your fighting the fish not biting good and the wind might be blowing and it might be raining or cold or hot.” Some other situations might mean that you lose fish or another angler gets on your best spot or you motor breaks or trolling motor breaks. There are millions of things that can go wrong. Not many times do you go out there and catch fish all day long. The important thing is not that things go wrong but what you do about them. Yelas does not let such things bother him. He tries to maintain an attitude where he does not get too excited if he has a great day and try not to get too down on himself when things are not going his way. “I just as I try to have an even keel and I try to remain confident that I know how to catch fish,” explains Jay. “I have done it for a long time and try to reason out what is going on and just try to adjust what I am doing to current conditions.” He maintains that it is not that difficult if you think about it. Usually just a small minor adjustment in the depth you’re fishing, or the lure that you are using, or whatever and you can start catching fish. The important thing to him is to keep an even keel out there. Yelas believes that in fishing, emotion is more of a distraction. Unlike other sports like football or basketball where emotions play a larger role, fishing is more like golf where you just need to have an even temperament. He just tries to figure out where the fish should be and deal positively with the bad things that might come his way. He does not let them get him down and he just keeps plugging away. Jay does admit that it is easier said, than done. Jay admits that even after 17 years, he still has times on the water when He does not have a clue to what is going one. “You just have bad days but that happens to everybody,” admits the pro. He tries to remember that it only takes 10 minutes to catch a limit of fish if you get in the right spot at the right time. Finally, Yelas also remembers that as far as attitude goes the last half hour of the day is worth just as much as the first hour. Just do not give up. Beech River watershed lakes in Henderson County, TN offer fishing in a kind of quiet splendor. The seven lakes: Beech, Cedar, Dogwood, Lost Creek, Pin Oak, Pine, Redbud, and Sycamore, contain a total of some 3,000 surface acres and over 100 miles of shoreline. The lakes range in size from 140- to 875-acres in size. Henderson County is just south of Interstate 40 and about halfway between Nashville and Memphis. The lakes are along Highway 412 between Jackson and Lexington. All the lakes have good fishing potential for such species as largemouth bass, crappie, bream and catfish. Stocking of the lakes make summer fishing an anglers dream. Here is a brief break down by lake of the angling opportunities. This 1,000-acre lake about 1.5 miles northwest of Lexington is about 3.5 miles in length with a dam at the south end. 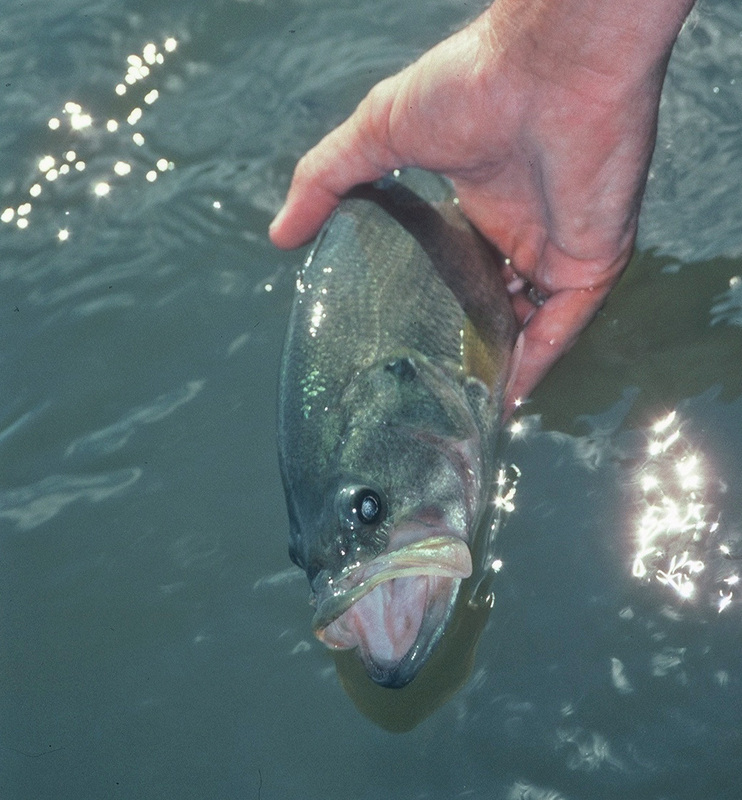 Bass action picks up in June as the fish move out to the drop- offs and ledges. Action is good all month and they begin to bunch up in July. In August, as the water warms, night fishing on the main lake points, drop offs and deep lake points is preferable. In September they move back to the shallows near shore. Lure preference is crankbaits and worms on a Carolina rig. Bream action is best in June with crickets in 3 to 4 feet or water near sandy or clay banks in the coves. Later in the month red worms work, as do 1/32nd ounce jigs in chartreuse with black or glitter. Vary retrieval speed and halt from time to time. Shellcrackers will take the same presentation. Crappie-like minnows in about 10 to 15 feet of water but they do move to about 8 foot in September. Look for wood in the form of brush piles and treetops. Jigs in colors like pink/white, black/red will work. Channel and blue catfish take nightcrawler, cut bait, chicken livers and cheese during July and August. Try bouncing the bait off the bottom of creek channel in early morning and late in the afternoon. This 500-acre lake is about 4.5 miles south of Lexington on Highway 22. Nearly 2 miles in length, it has a dam at the north end. Bass fishing is not great here but the pursuit of bream during June and July is very good. They will take crickets, red worms, 1/32nd ounce crappie jigs and tube jigs. Most fish will be on the beds or in water between two and four feet deep. The cooler the day the more shallow, the hotter the deeper they will be found. The same techniques will work for crappie. Catfish will be 6 to 12 feet down and like nightcrawlers, chicken livers and cheese bait. Early and late in the day is prime time for fishing and July is the prime month. These two lakes are 500 and 230 acres in surface area. They are on the eastern border of Henderson County. They run north and south parallel to one another and are undeveloped. Largemouth bass will be near main lake structure such as points, ledges and drop offs. Favorite baits are big worms and big crankbaits. You will find smaller fish near the main lake ditches. The panfish and catfish action is not as good as Beech and Pine Lake. Bait for catfish is nightcrawlers and cut bait while panfish prefer jigs and minnows. This 230 acre lake has no waterfront development. It is located southeast of Lexington and just east of Highway 22 about 5 miles. Largemouth bass are good in this lake and they like large crankbaits or plastic worms rigged Carolina-style. Fish are usually near the deep water structure. Panfish action is OK but not great with most fish taken near brush piles and other shallow water structure. About 3 miles northeast of Lexington near the town of Pleasant Hill is the 140 acre Cedar Lake. It has not shoreline development and is about a mile in length. This is probably the best bream fishing lake in the Beech River watershed. Bass action is slow. Crickets, red worms, jigs and grubs in any color combination with chartreuse are the best bet. Crappie and catfish action is slow. This lake is part of the Natchez Trace State Park about 7 miles northeast of Lexington on the eastern part of Henderson County. Bass are on drop-offs and ledges near deep water. They move to the shallower water in late summer as the water cools. Crappies are near brush piles located near points and will take minnows in 8 to 12 feet of water. Shellcrackers and bream can be in the 4 foot level near the bottom and will take red worms and crickets. Catfish are usually deep near points and like cut bait or nightcrawlers. There are no boat restrictions on all these lakes but other site specific rules do apply. For specific regulations contact the BRWDA office at 731-968-6191. The office is located 9 miles south of I-40 at Exit 108, Highway 22 South near Lexington, KY. Putting a G3 boat through its paces caused me to do some thinking about the use of boats. The G3 is a craft that serves the river angler and waterfowl hunter. I wonder how many boats there out there that has such dual purposes. 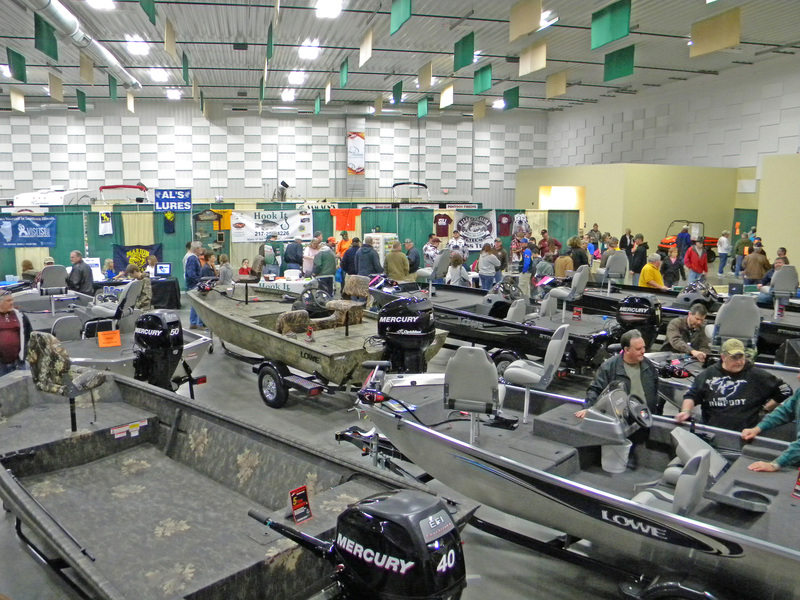 All too often we think of a boat as a bass boat or a walleye boat. The average sportsman needs a boat that will do other chores as effectively. Perhaps too many of us just think of a boat as a single purpose craft when shopping for a new one. Take for example a 16-foot Jon boat in camo colors. The length and a good wide beam make it excellent for both fishing and hunting. With a 20 inch transom, there is plenty of safety room for leaning over to pluck a bass or a decoy from the water. The tiller system on the Yamaha 60 contains the controls for variable speed trolling to keep one on fish in river currents. It would be handy when retrieving decoys as well. A light aluminum hull moves across the water with excellent speed and stability. The weight of the boat dry is 1200 pounds. Additional gear and people will increase the weight. Jon boats are rated for a maximum engine horsepower. Most have plenty of engine power for the weight of two anglers or hunters. Perhaps a boat load of dog, hunters, and decoys would benefit from increased horsepower. The boat should contain a trolling motor with 40 pounds thrust which is adequate for river currents. Fish finder could be helpful in waterfowl season as a way of judging depth of the water and avoiding submerged structure to get back into the river backwaters. Rod boxes hold both light tackle rods as well as those heavy ones for that big catfish. They also can be used as gun storage boxes during waterfowl season. A livewell can hold those big fish that did not get away. For the waterfowler a blind can be added to the sides to conceal hunters as they rest on a pedestal seat. The seats can be covered with fabric in the same camo pattern as the boat. Designed to hold up to nearly year round use, a diamond pattern non-skid deck adds safety for movement about the boat regardless of whether fishing and hunting. The boat is just one example of an aluminum, waterfowl or backwater fishing boat on the market. Thinking of buying a boat for dual purposes, then maybe now is the time to take a look at these dual purpose craft. As we move into the late boating season it could be a time to find some good values if one decides ahead of time of all the things he wants to do with the boat and does some shopping. The best way to get started in tournament fishing as a new person is to find a local bass club. Most areas have some kind of bass club. Many will have several. Go out fishing local tournaments. You learn from the older people and start your career from there. Read as many publications as possible. Bassmasters magazine, In-fisherman and all the different magazines out there contain a great deal of information in their articles. You get the basics from them. Videos are available now. 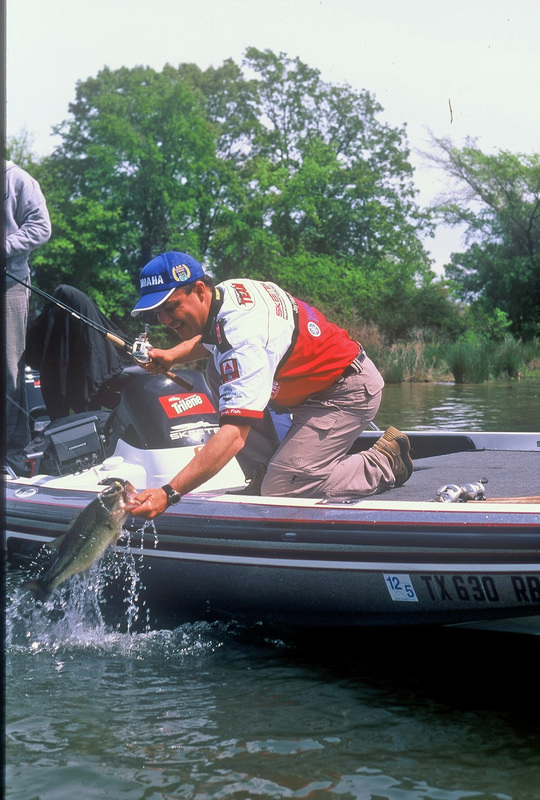 Anglers can get tips from anglers like Bill Dance and all the pros. You also get an idea of the new types of products available. Rods and reels, fishing line, lures and all the different stuff that is available out there. There are many good products and you just need to go out and use them and see what works for you. Develop your own style of fishing. A major argument by some is that they cannot afford all the expensive boats and equipment. How do you get around that? Many of the opportunities are available fishing with local bass clubs. Every club needs a non-boater. When you compete in a tournament, there is always a boater and a non-boater. The non-boater is the person that does not own a boat. If you both own a boat, they flip a coin and whoever wins the coin toss is the person who gets to be the boater. Sometimes they make a rule that the person who owns the boat gets the front of the boat half a day and the non-boater runs it the other half of the day. The non-boater early in his career can learn a lot and not have to shell out many bucks. As for rods, you do not have to buy a $200 rod. There are rods that you can buy for $40, $50, $60 that are as good as a $200 rod. As far as reel, you do not have to get the most expensive reel. You can go with a mid-range reel that does the same thing. You just have to get something that is sensitive. Many rod blanks on the market come from the same makers. They are same with different names applied. As for basic equipment should someone have before he starts fishing a tournament, you need a good tackle box to carry your gear in. That is especially if you are non-boater. You need to be able to carry all your stuff in one bag and your rods in the other hand. Individual plastic boxes will sort gear. You need a good level wind reel and rod. A medium action to medium heavy action rod will do depending upon where you are fishing. If there is a lot of brush in the water, you need a medium heavy action. Additionally you want one spinning reel and rod. With the three rods, you can go fishing a tournament. The length of the rod depends upon the height of the person. If you are fishing a jig you are probably going to go with a medium heavy rod if you are fishing heavy brush with a Texas rig worm or lizard around a little bit of brush maybe some rock piles, some points and stuff you can get by with a medium action. For a spinnerbait rod, a crankbait rod, you want one with a little bit of give in them so that you are not pulling the bait out of the fishes mouth. You use four basic patterns during the year. Wintertime they are deep. Fish structure with jigs and maybe humps or that kind of stuff. The fish move up out of the deep water and the spring to spawn. That is when you turn to maybe some sight fishing when they are on their beds. Maybe they will like a tube bait or a crankbait before they get on the beds. A spinner bait when they start getting aggressive when they come out of the deep water before they move onto the beds. When the summer months come around, bass start going back down to deep water. They get on structure again, submerged islands and humps. In the fall, they come shallow again and that is when your topwater bait comes in. If you just get those four basic themes down and you know what the fish are going to do. You will be successful. Later you can move into sponsorships. You must have the right type of personality that the media is going to like. They will want to do stories on you to promote products. That all will develop with your experience. You have to learn the fishing part first. There is so much equipment out there that it confuses everybody. If you stick the basics, you are in good shape. In summation, to get into tournament fishing you have to learn what the fish are going to do first. Then you need to go get a couple of level wind rods and a spinning rod. You need the spinning rod to fish different types of water. If you get on the beds, and the fish get on the beds, you need different lures and you need a spinning rod. You only need one spinning rod. With this rod, you can fish about any type of water any tournament angler will fish.